It seems like everyone’s having babies — and we’re not just talking about the Kardashians. 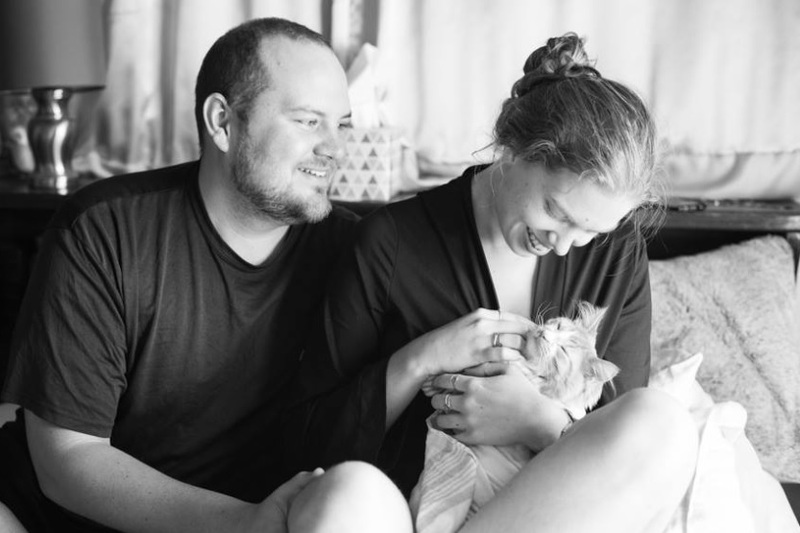 In fact, you might be feeling a little inundated…which is also why you might get a kick out of this kitten maternity shoot, which one couple gifted the world via Facebook. Lucy Schultz and her partner Steven, who hail from Colorado, decided to celebrate the adoption of their brand new rescue kitten by turning it into a milestone. Schultz, who works as a wedding photographer, posted a few, well, interesting shots of her “delivering” the kitten. (We’re officially bowing down, fyi). Pretty soon, the photos went viral. Schultz let her photographer friend, Elizabeth Woods-Darby, capture the important moment when the 6 lb, 7 oz kitten entered the world. Speaking of the little one, the magical moment of birth was caught on camera. (WARNING: Below image may not be NSFW). Just take a look at the proud parents! Next time you’re looking to add to your family, remember — maternity shoots aren’t just for babies anymore.